UK 4K TV sales tipped to hit one million by end of 2015 | What Hi-Fi? 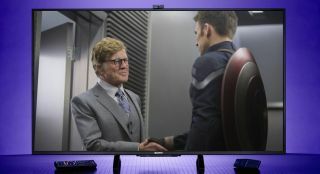 Not for the first time in recent months, it appears as if 2015 is going to be the year that Ultra HD 4K TV takes off in earnest after fresh predictions suggested that one million 4K TVs would be shifted in the UK by the end of this year. That's the verdict of GfK's Nigel Catlow, who was addressing SES' Ultra HD Conference in London. And, according to ERT, that figure could increase to as many as 3.5 million over the next three years. GfK expects one million 4K TVs to have been sold by the end of 2015, representing around 10-15 per cent of the market. It comes after 200,000 4K TVs were sold in the UK in 2014 – although half of those were bought in the last two months of the year. The market for 50in+ TVs is tipped to drive much of the growth in the TV market. Broadcaster and journalist Andrew Neil also spoke at the event, suggesting the development of Ultra HD screen technology could have a similar impact as both colour TV and multi-channel TV. ERT quoted Neil as saying: "Almost 50 per cent of new, large-screen TVs being sold today are 4K-compliant. In 2014, sales of 4K UHD flat panels exceeded all forecasts. It’s growing significantly faster than HD TV at the same point in its cycle." The SES Ultra HD Conference took place against the backdrop of news that a new Ultra HD demo TV channel had launched in the UK and Ireland, which is broadcast using the DVB UHD-1 Phase 1 signalling specs.